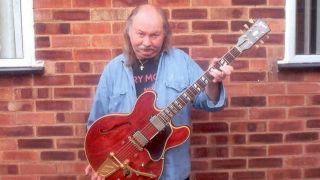 Former Budgie guitarist John Thomas has died aged 63, it’s been reported. His death was confirmed by the band’s longtime drummer Steve Williams who broke the news on Facebook. No cause of death has been reported. Thomas replaced Rob Kendrick in the band in 1979 and continued to play with Budgie until they split in 1988. He came back into the fold once the band reformed in 1995 and again when they returned to action in 1999. He departed for the final time in 2002. Thomas played on three of Budgie’s albums – 1980’s Power Supply, 1981’s Nightflight and 1982’s Deliver Us From Evil.